Really enjoyed Rome. Seven of us stayed here, we all loved the apartment, it was a nice base for exploring the city, the decor and the chance to cook for ourselves made for a relaxing break. Paolo was friendly and helpful. Lorenzo replied promptly to my e-mails. Grazie. Ciao. 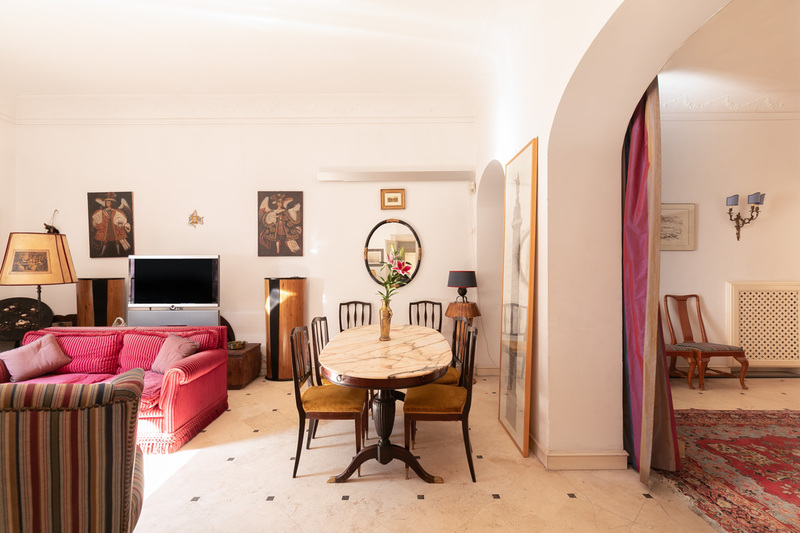 This fully air-conditioned, 170sqf Rome apartment offers three spacious bedrooms. 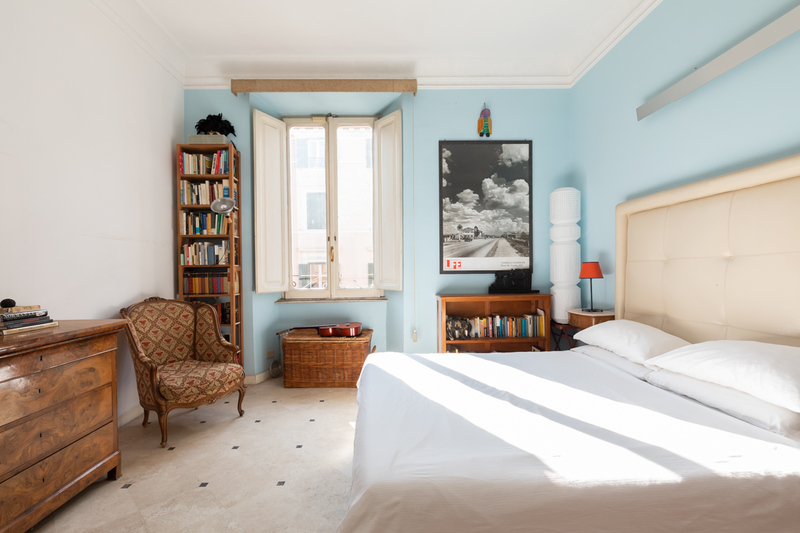 The bedrooms all have a queen size bed and numerous closets. With these, you can forget about your luggage and make yourself at home. One of the bedrooms also has comfy bunk beds. Four people can thus sleep within this single space. The ideal set up for a family! 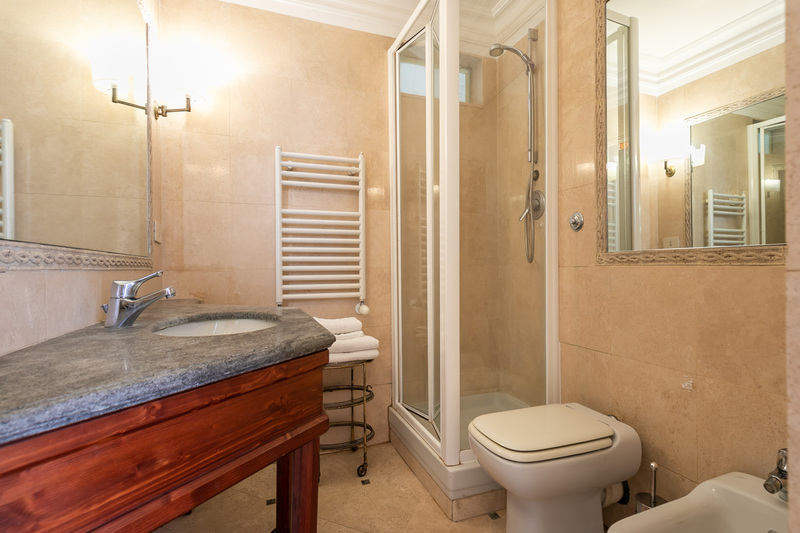 The second bedroom has an en suite bathroom with a shower. Finally, the lovely master bedroom is an independent suite. 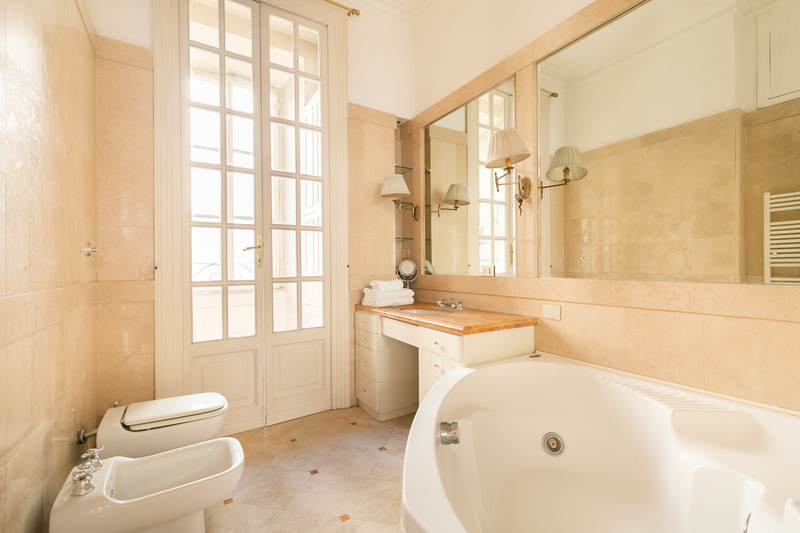 It provides its guests with a beautiful marble bathroom with shower and bathtub. Near the entrance, a convenient small room offers another sleeping arrangement: a single bed with a pull out bed underneath it. 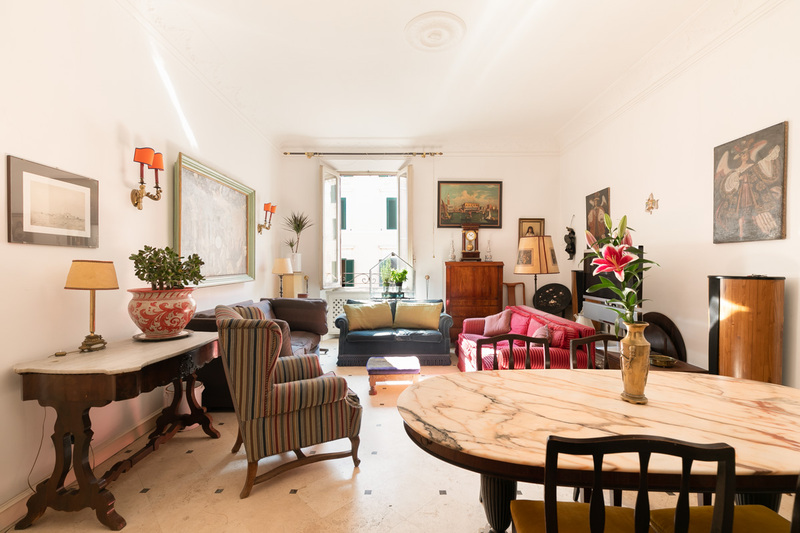 You will surely love the airy well-furnished living room of your Rome apartment. 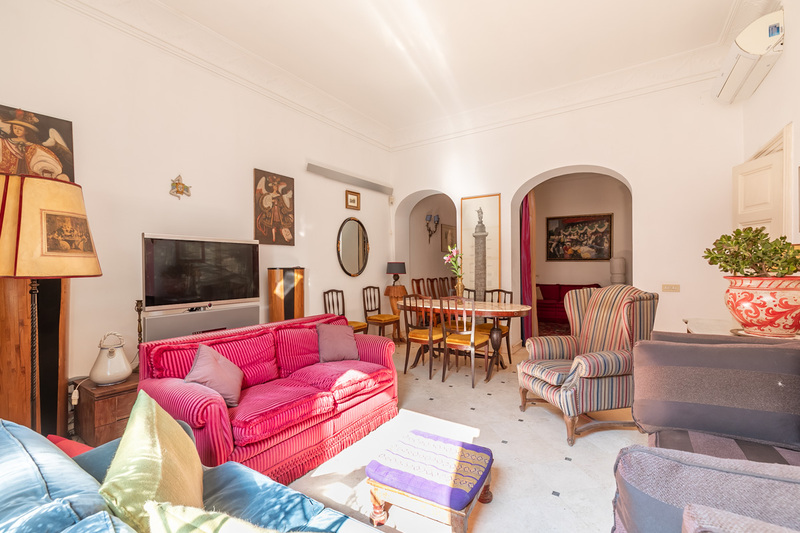 In this large space, there are plenty of comfortable sofas for you to sit on and watch some television if you wish to. 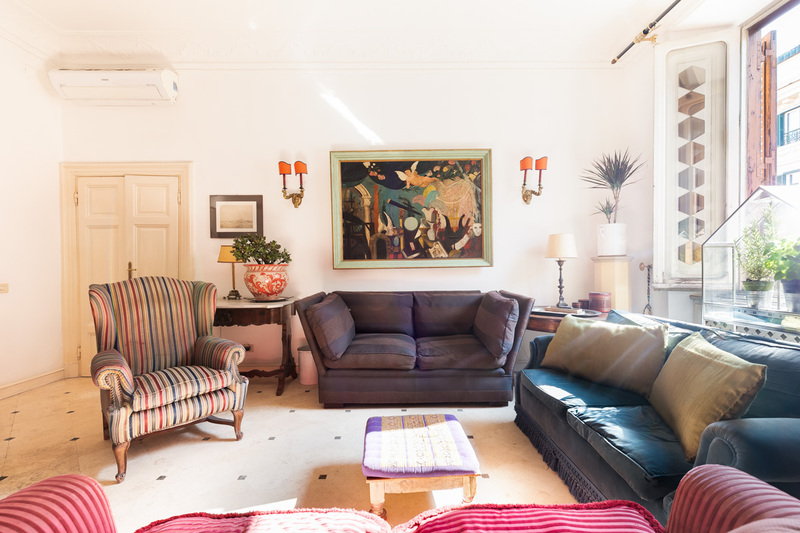 The living room offers a mix of fine art and antiques. In addition to this, you will find a complete home cinema set-up. Enjoy access to a 42” plasma TV with Sky Satellite TV, Wi-Fi Internet access, and a Loewe Sound Projector. On one end of the living room, there are big windows which allow the morning sun to stream in illuminating the entire room. 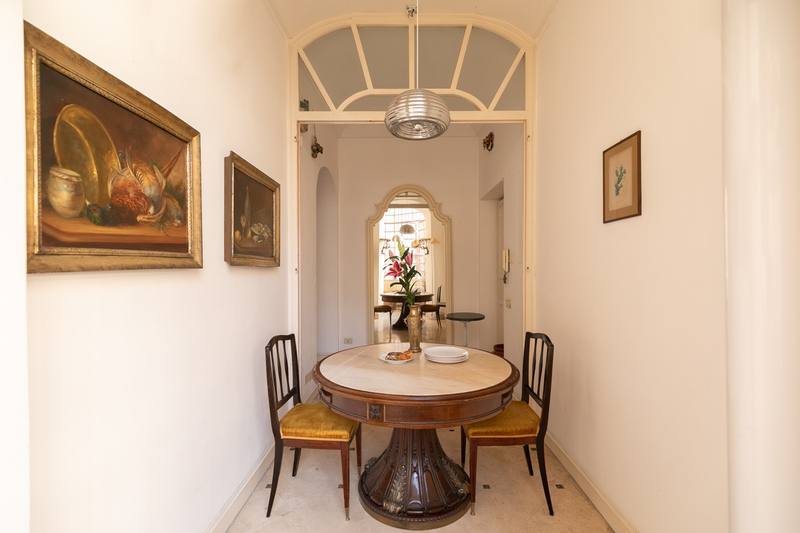 The dining area comes complete with an extendable dining room table which can sit up to 12 people. 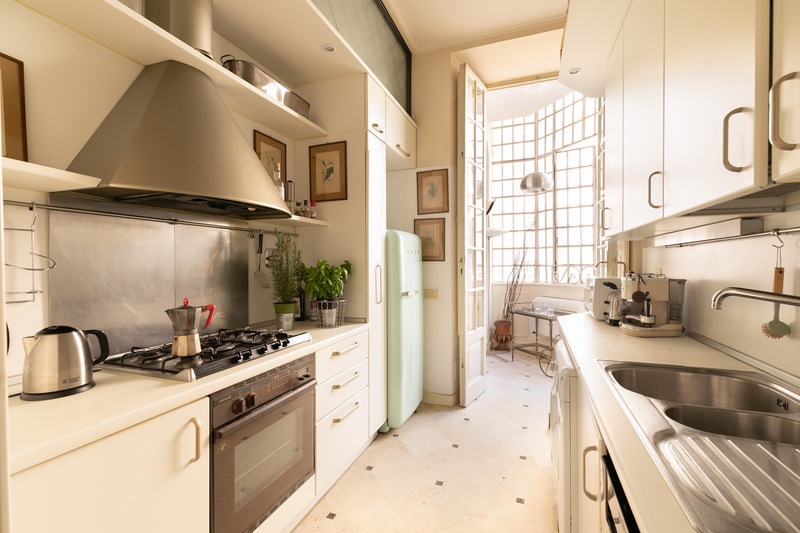 Adjacent to the living room, you will find the bright, spacious, and fully equipped kitchen. 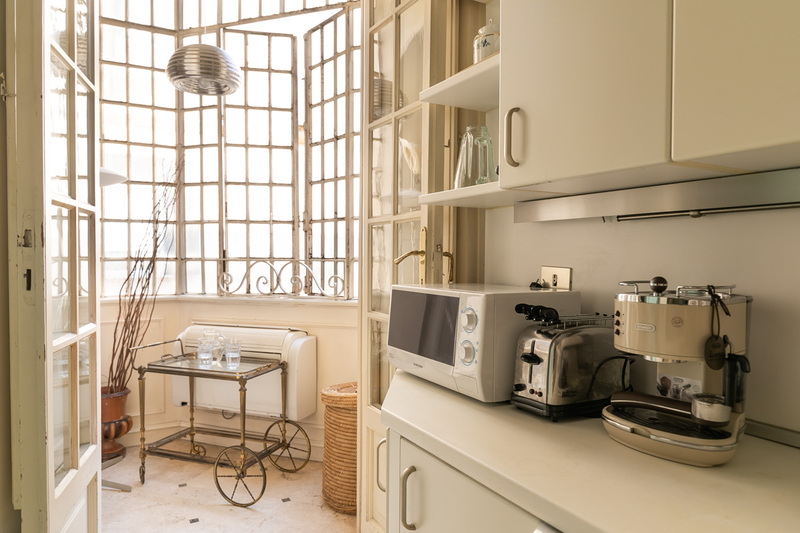 It offers a Nespresso coffee machine, a microwave oven, a gas stove and oven, a fridge and a dishwasher. 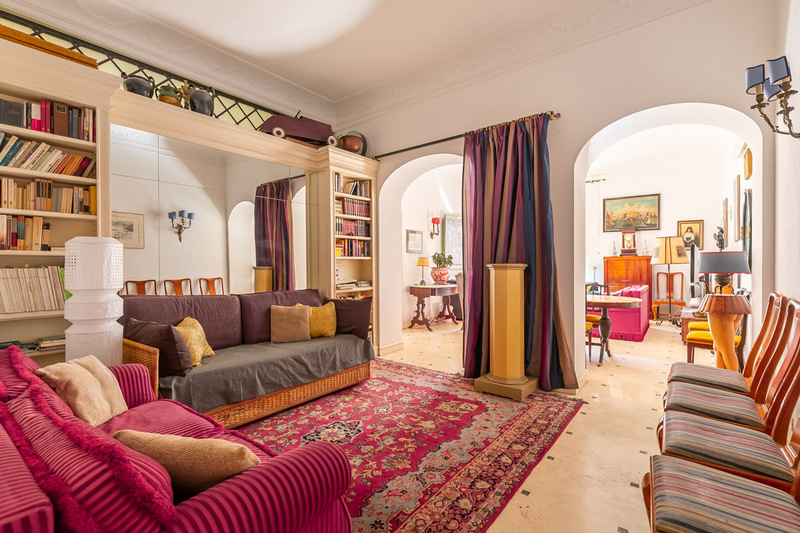 This Rome apartment is a wonderful space! 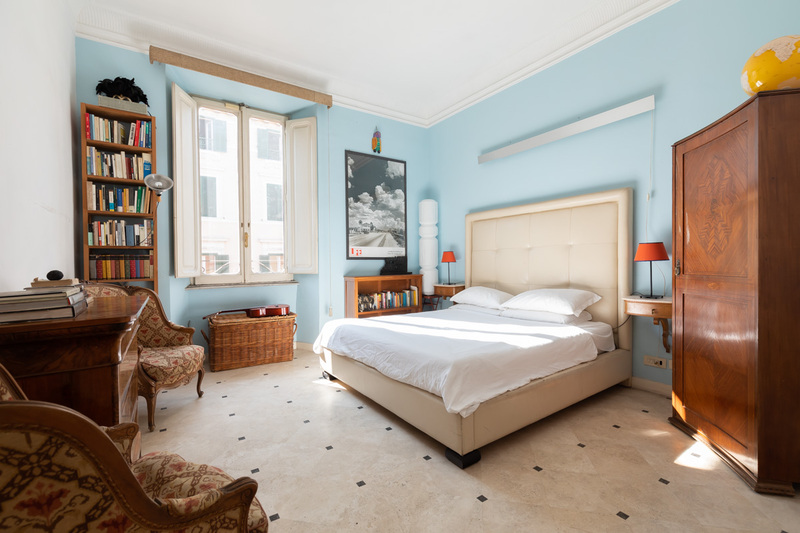 It is ideal for a large family or group of friends, looking for an amazing stay in the Eternal City. 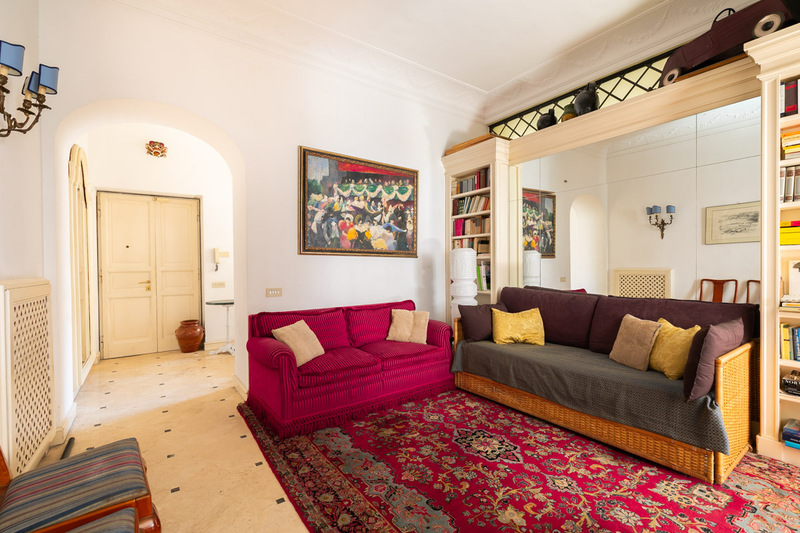 You will find this apartment just between Saint Peter’s Basilica and Piazza del Popolo. This lies within the classy, residential area of Prati. Here, there is no shortage of wonderful restaurants and great streets where you can shop. 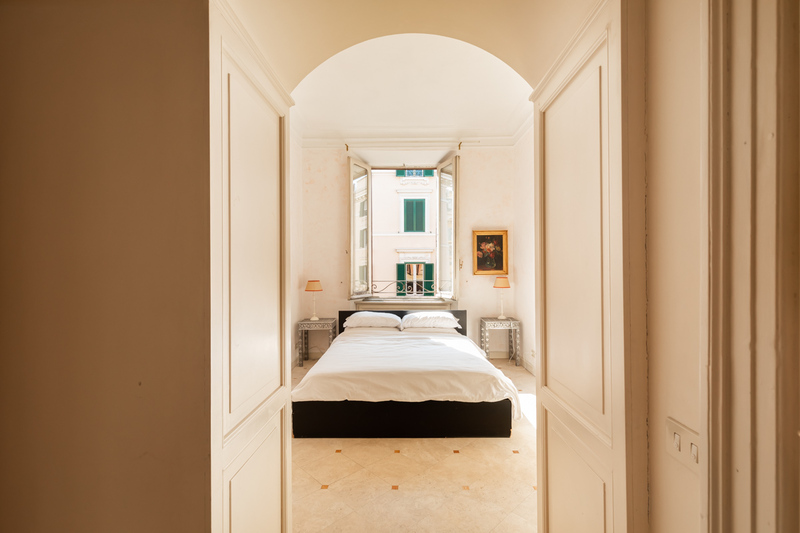 Via Cola di Rienzo is especially nice and is just a few meters from the apartment. Guests will also be able to easily access Lepanto subway station. You can find it within just 5 walking minutes from your home in Rome. The metro will take you directly to the Piazza del Popolo, Spanish Steps, and the central station, Termini. Changing here, you can get the Metro B to Monti, the Colosseum, and the Giardino degli Aranci. In the evenings, Prati is very nice and offers a wide range of restaurants and bars. For a great view, head to the Atlante Hotel’s rooftop terrace bar, which boasts a panorama of St Peter’s cupola. Alternatively, head to the trendy La Zanzara for a wide selection of Italian and Fusion food. They also serve some brilliant drinks, with a plethora of signature long and short drinks available. Taking the metro to Barberini, you can also easily reach the Trevi Fountain. We highly recommend coming here as late as possible in the evening. During the day the crowds can be overwhelming, so it is better to avoid them! What is more, at night the Trevi illuminations are truly spectacular and add another layer to its already magical appearance. RomeLoft staff were excellent from the beginning to end of the process. They responded promptly to my questions and were easy to reach once we arrived. The car we had booked was on time at the airport and staff were waiting at the apartment to hand over keys etc, with minimum fuss. On our departure, we asked for a late checkout as we needed to col...Read Morelect hire cars and had children and they were extremely accommodating. The apartment itself was perfect for our needs (2 couples and 3 children). It was located within easy walking distance but in a residential area to allow for quite time away from tourists. Thank you for a wonderful and memorable stay! 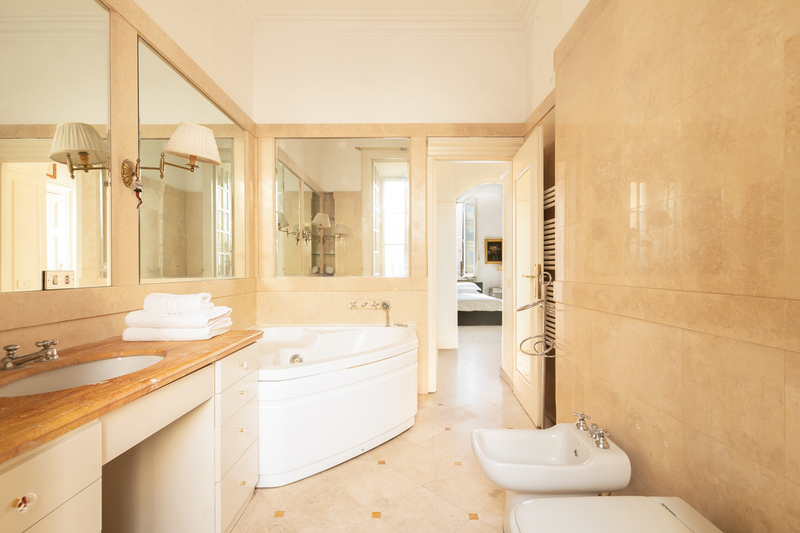 We loved the secure block, the size of the apartment - and the three bathrooms! The location was perfect, with cafes, restaurants, shops and transport just around the corner - everything we needed within a few minutes walk. The accommodation itself was like staying with a friend. The owner's personal belongings were visible throughout the a...Read Morepartment, as well as the previous occupants' bedding laundered and drying on the small balcony, together with a useful stepladder leaning against the wall:) The towels and bedding were plentiful, but maybe a little tired. However, despite the unusual paraphenalia surrounding us, we loved the apartment and would recommend it!